To complement our floor marking products, we can also design, supply & install a complete range of warehouse signs for your facility. 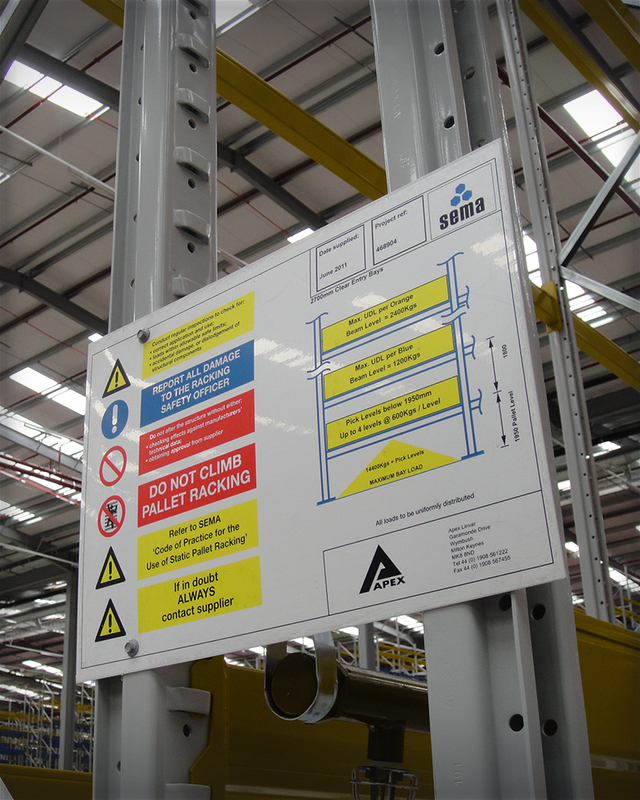 Whether it’s off the shelf safety signage, bespoke aisle signs, load signs, barcode signs or external corporate signs, Warehouse Floor Marking Ltd can take care of it all to give you a complete floor marking & signage package. Rack labels are a popular addition with installation services as it helps customers implement new racking and configurations without impacting on their workforce and operation. Our team’s carry out small installations as well has handling massive DC roll out projects which set new records in size and speed of application. Our installation teams are fully trained and insured to carry out work throughout the UK in all sizes of facility and stages of operation. Speak with us about your warehouse signs and labelling project, we can provide lots of ideas and work with you to fulfil the project.